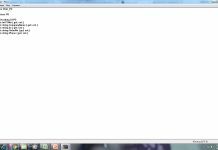 In this tutorial I will teach you how to add a Button programmatically in C#.Net. With this method, there’s no need for you to drag and drop a Button in the Form anymore because the button will automatically appear on the Form . New Buttons will be added in the Form when clicked. 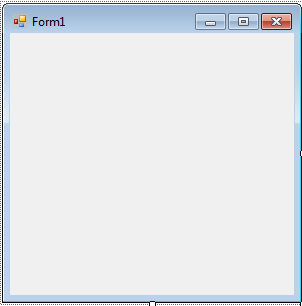 Open Microsoft Visual Studio 2008 and create a new Windows Form Application for C#. The Form will look like this. 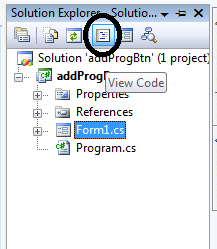 After creating a Windows Form Application, go to the solution explorer and click the “code view“. In the code view, declare the variables for counting the controls that will be added and setting up the location of the controls in the Form. After declaring variables, create a method for creating a Button. //'CHECKING IF YOU WANT TO CLEAR THE CONTROLS THAT YOU HAVE ADDED. 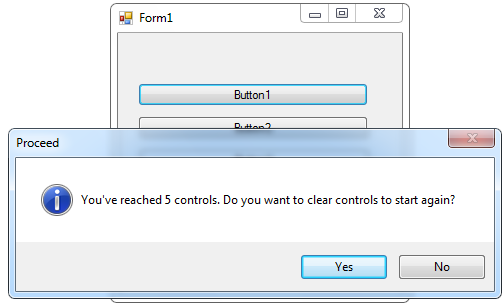 Then, create a method for adding another button when clicked. 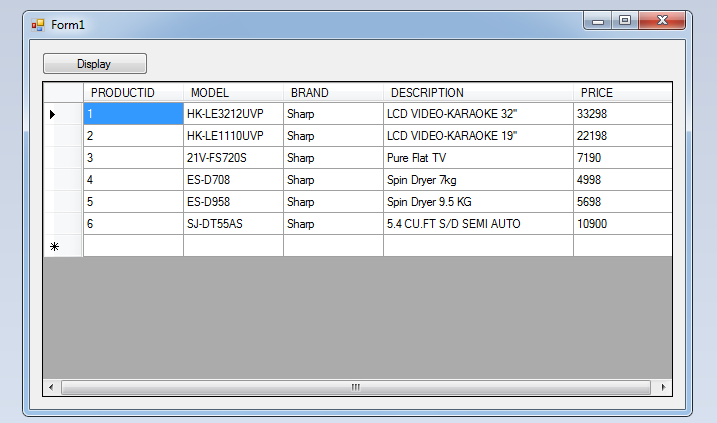 Lastly, do this following codes for displaying the button on the first load of the form.